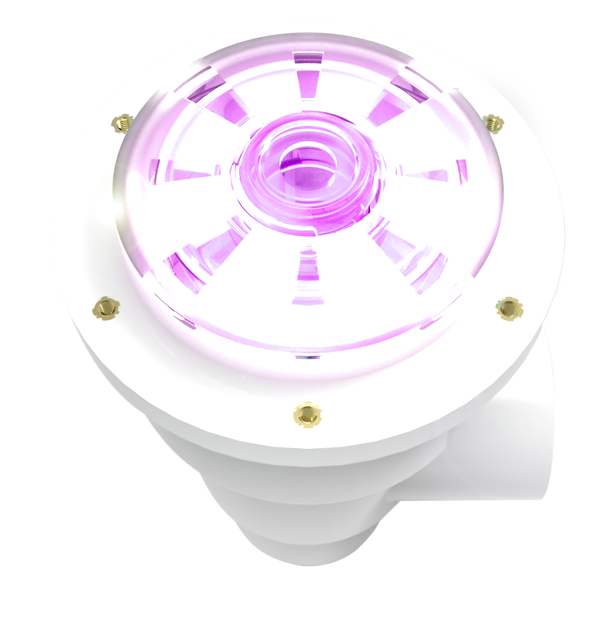 The Brilliant Wonders® 4″ LED Bubbler utilizes the same precision RGBW technology as the 1.5” LED Light. 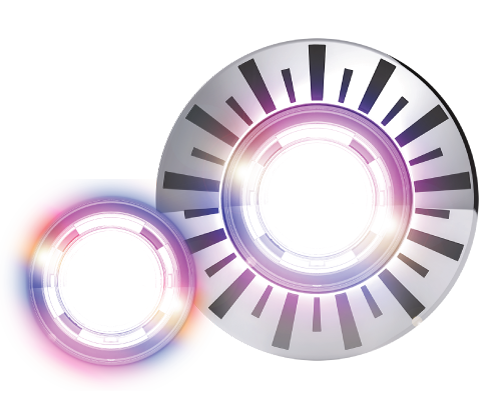 It features a beam-focusing lens for maximum brightness in a compact, energy-efficient size. Compared to other “mini” bubblers, the Brilliant Wonders 4″ LED Bubbler is versatile, efficient and easy to install. Fast install, testing and setup. Waterproof lighting quick disconnect for simple service. The 4″ LED Bubbler was engineered to give an option for an LED Bubbler than can install in small spaces, use minimal energy and provide a unique style all its own. We keep some of the best features of the larger 8″ LED Bubbler, but in a new package that gives you one more option for a killer pool design. Directional nozzle for perfect alignment, even on sloped installations. 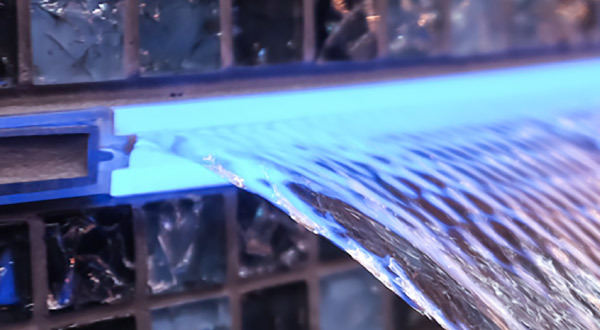 Instead of creating large halo of light like the 8″ LED Bubbler, you might want a tight controlled splash of color. 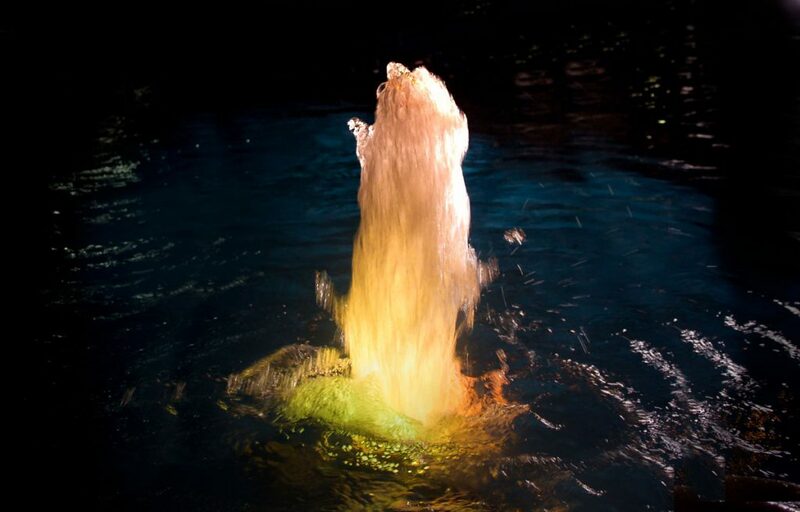 The lighting of the 4″ LED Bubbler is beam focused, lighting only the plume above. 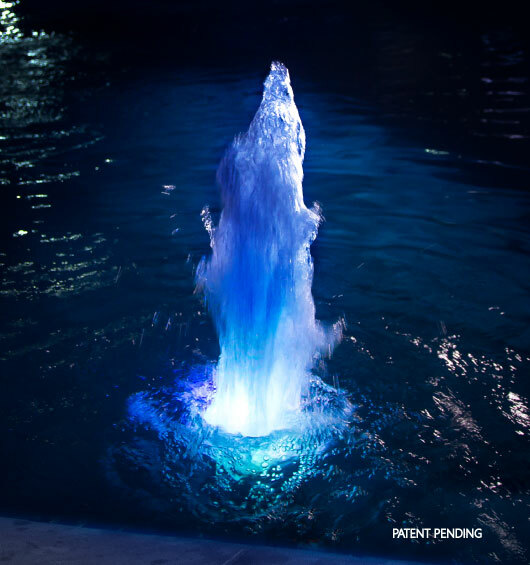 The focused light also enhances brightness while at a lower wattage, making this one of the most efficient pool lighting features you will find. You can service or winterize this light in thirty seconds. 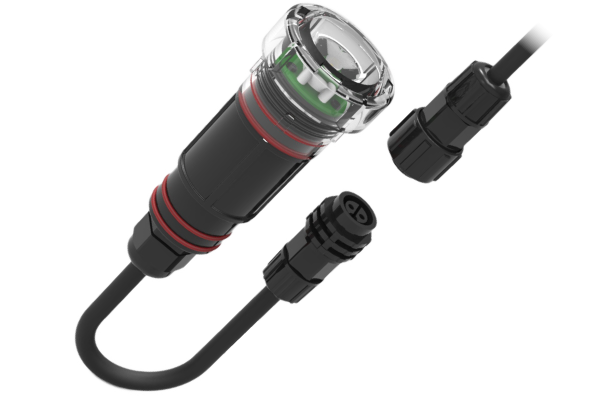 Using the same connection as the 1.5″ light, we made this light as easy as possible to install and service. Complete access and remove the light without removing 100’s of feet of cord. 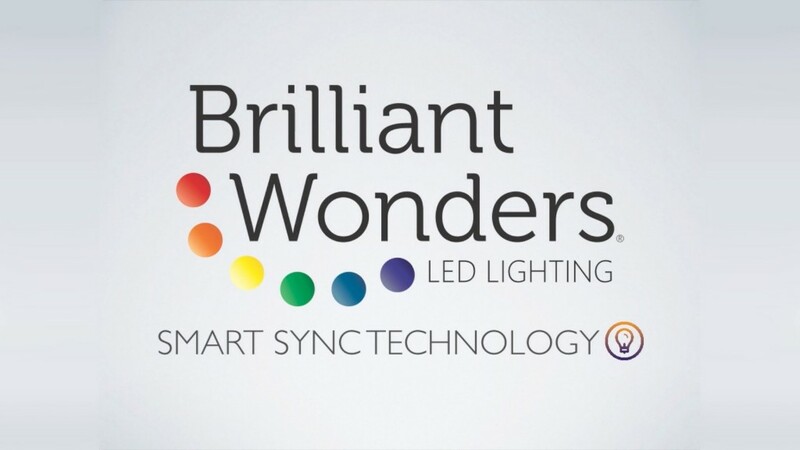 With Smart Sync® built in, it couldn’t be easier. 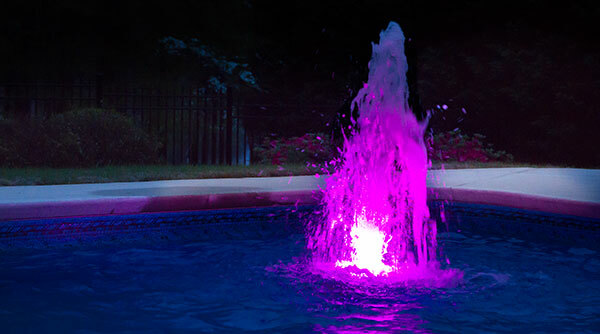 Simply order one of three styles to match the most popular pool automation and lighting systems. Select from H, J or P style options, install the light as you normally would and it just works. No adapters or dip switch changes are required, the work is already done with Smart Sync built into the programming of the light direct from CMP for your pool installation. We really did try to think of everything . 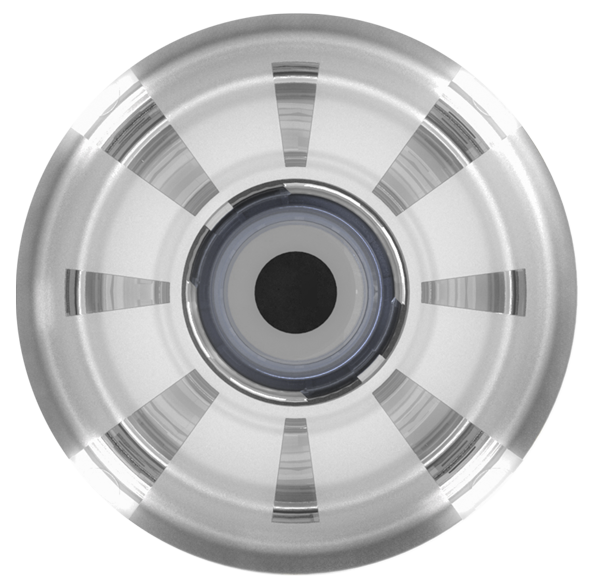 . .
Our outer designer lens installs with a simple twist lock. No retaining rings, trim pieces are screws are required. That means you can get a perfect, flush and seamless installation when installing in gunite. Gunite assemblies ship with a two-piece floating collar. Adjust the height to perfectly match the pool plaster for a flush final installation. Kits are available for vinyl and fiberglass in four different colors, plus white. The color rings are easy to install with two included gaskets, and stay secure with the brass inserts integrated with the bubbler body.